Mal is the kid on the fringes of everything, and that’s where he likes to be, since he doesn’t fit in anywhere else—not at school, not at home, not anywhere. But just because he’s quiet and rarely speaks up doesn’t mean he doesn’t have anything to say, especially about what happened to him years ago. When he was much younger, he disappeared for three days. Everyone else thought he ran away and had a seizure and explained his disappearance in rational, medical terms. But Mal thinks it was something else. He thinks, no he knows that it was an alien abduction. The hope that there is intelligent life elsewhere is what has gotten Mal through the worst parts of his life, because that means they could come for him again and he can escape his life on Earth. And when Mal meets Hooper, a guy with some possibly otherworldy secrets, at an abductee support group, he’s closer than ever to getting what he wants most. But is escape from Earth really what Mal wants or even what he needs? First Day on Earth is a quick and thoughtful look at learning to accept and appreciate the hand you’re dealt, so to speak, in the context of science fiction. Everyone’s wished to escape from their life at least once, but Mal’s desire to escape is so great that he wants to even leave planet Earth. Castellucci’s sparse yet powerful prose really draws readers to the heart of Mal’s pain and desperation. What we get is a sad but ultimately sweet and hopeful story as Mal tries to figure out whether to try to escape with extraterrestrials or to keep living on Earth. Though I most certainly enjoyed reading First Day on Earth, I can’t say that the story or its ending particularly grabbed me in the way Rose Sees Red, another novel by Castellucci that I’ve read, did. I think this is due to the fact that Mal isolates himself so much, even from the reader, that I never felt entirely invested in his life, disappointed by the bad things that happened to him, or buoyed by his moments of optimism. Nevertheless, First Day on Earth remains a worthwhile read and a good pick especially for readers looking for only a dash of sci-fi. First Day on Earth is sure to be enjoyed by fans of Life, After by Sarah Darer Littman, Everybody Sees the Ants by A.S. King, and other novels by Cecil Castellucci. 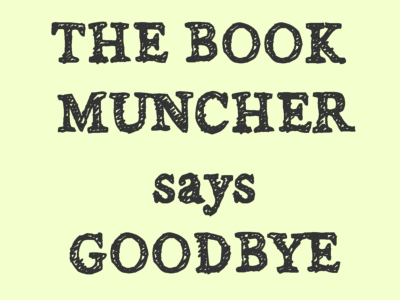 THE BOOK MUNCHER is the reviewing alias of a prolific reader. She is guilty of several overflowing bookshelves in several states. Her literary diet is mostly dedicated to the young adult fiction genre but has been known to occasionally stray into middle grade or adult categories. She is a firm believer that reading and literacy are as essential to modern life as physical sustenance, that fiction is often truer than nonfiction, and that stories and words have the power to change the world.